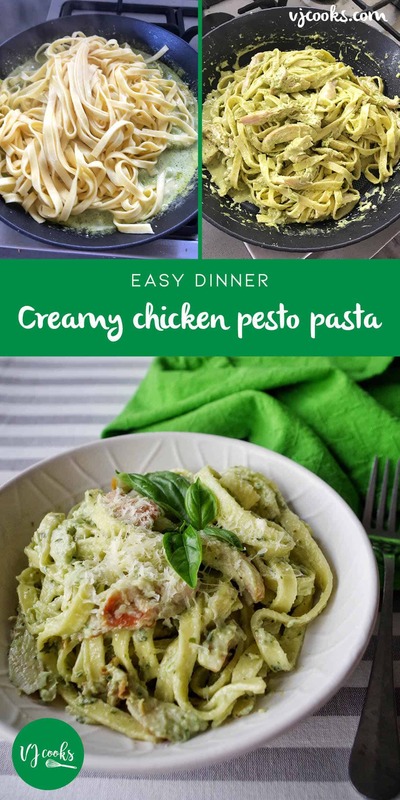 This creamy chicken pesto pasta is so easy and fast to make in under 20 minutes! Your whole family will be sure to love it. Are you stuck for quick dinner ideas? 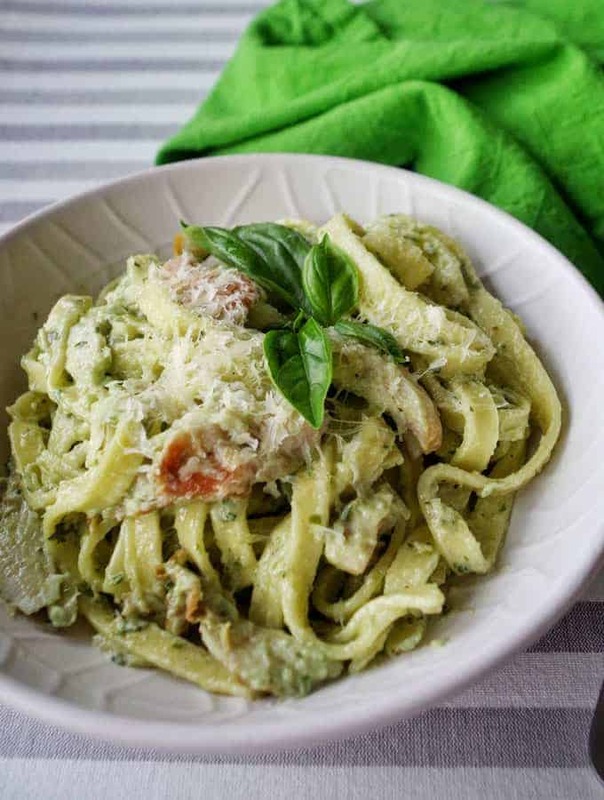 This creamy chicken pesto pasta is the perfect midweek meal. It is so fast to whip up you can make it in under 20 minutes. You can make it with bought pesto or if you have lots of basil make my homemade cashew pesto. 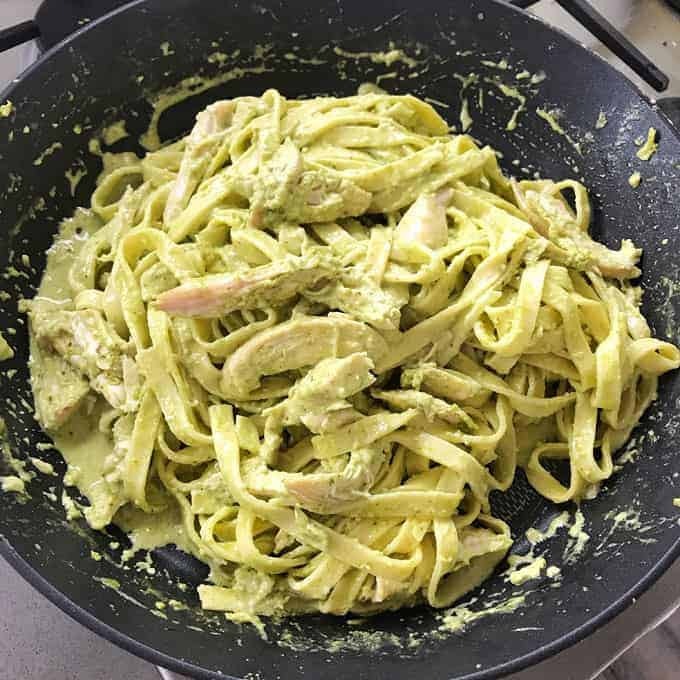 This recipe only has a few ingredients: fresh fettuccine, cream, pesto, smoked chicken and you can top it with fresh basil and grated parmesan if you have them on hand. You can also use cooked chicken breast in place of the smoked chicken. 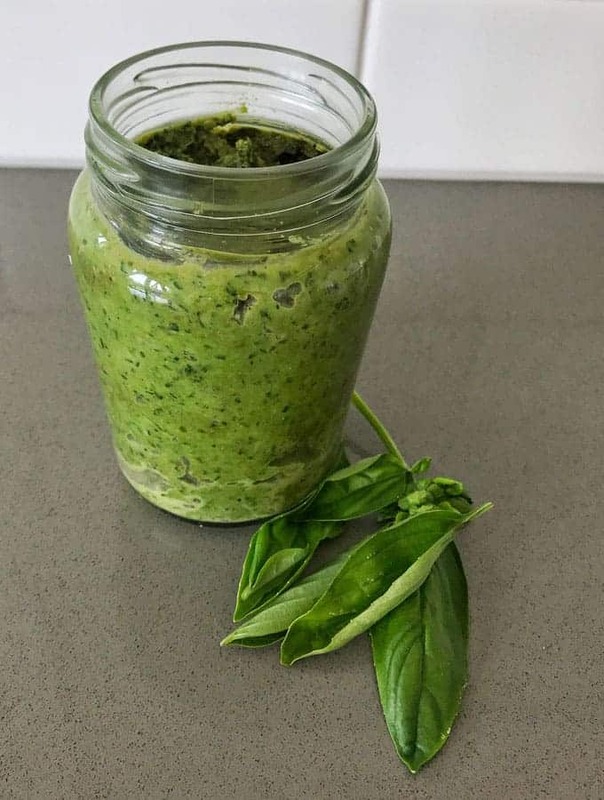 To check out my full website post on how to make your own pesto at home click here – Homemade cashew pesto. To make this recipe you just just heat up the smoked chicken in a little olive oil. 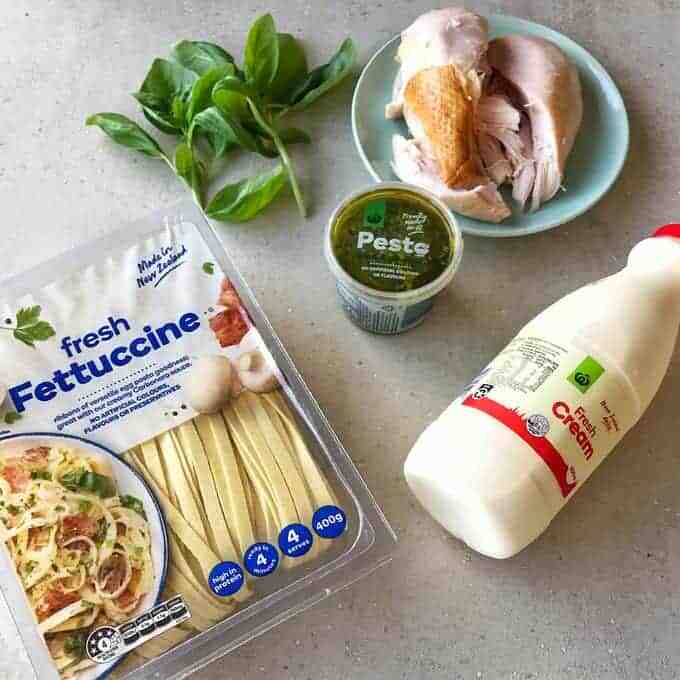 Then you stir in the pesto and cream, once it is all combined add the cooked fettuccine and stir it all together. 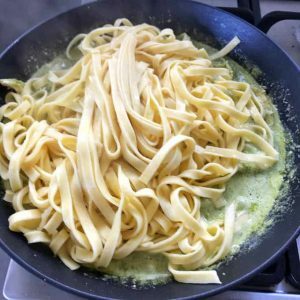 You want all of the pasta to be covered in sauce, if the sauce seems too thick then add some of the cooking water (reserved from the pasta). I like to serve my creamy chicken pesto pasta with loads of fresh parmesan cheese grated on top. It is also nice to garnish with some fresh basil if you have it on hand. 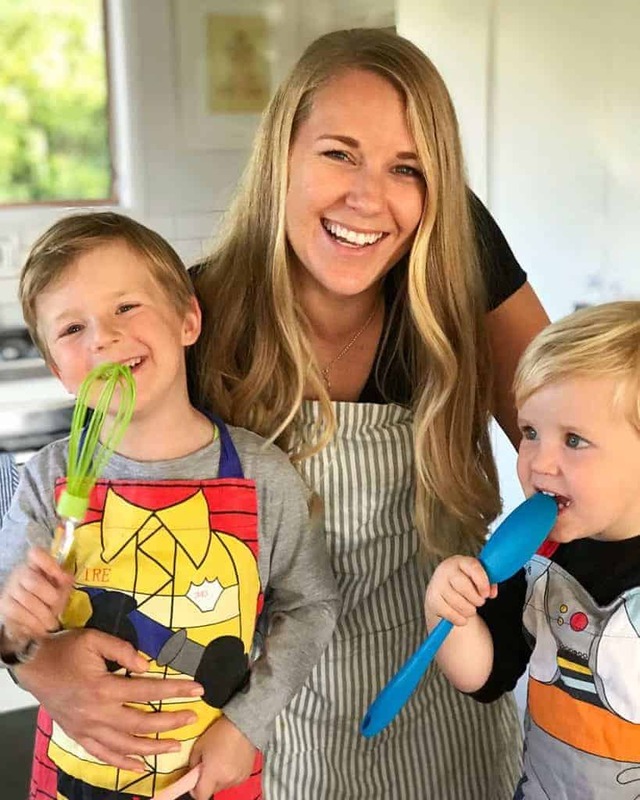 You should add these ingredients to your next grocery shopping list and make this easy recipe for your family this week. I’m sure they will love it as much as mine does. Bring a large pot of salted water to the boil and add the fettuccine. Cook according to packet instructions. Drain and set aside. Heat a large frypan on the stovetop and add olive oil. 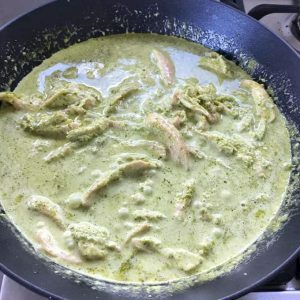 Turn down to low heat then add the chicken, once it is warmed through add the cream and pesto. Stir to combine until sauce is bubbling. Turn off the heat then drop in the cooked fettuccine. Use tongs to cover all of the pasta in sauce. Season to taste with salt and pepper. 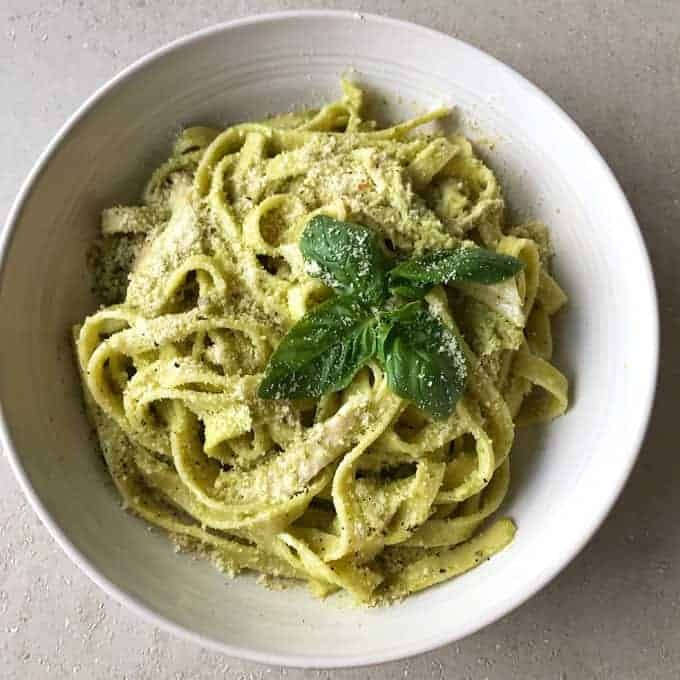 Serve in bowls with plenty of freshly grated parmesan and garnish with fresh basil leaves. You may need to add some of the pasta cooking water to loosen the sauce after you add the fettuccine.